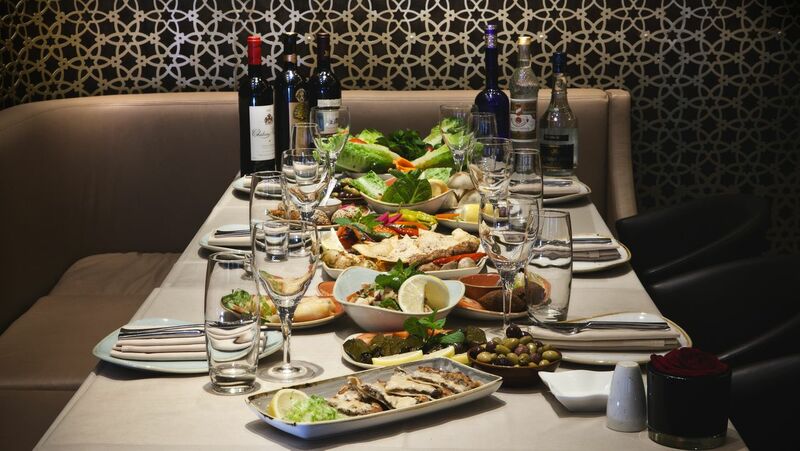 Creating the finest in Lebanese cuisine our dishes are made with the freshest produce on a daily basis. All of our dishes are prepared by our Head Chef Zak Wafaie. We cater to all dietary requirements and have many vegan and vegetarian dishes to choose from. All of our meat is halal certified and is marinated for no less than 24hrs to ensure a great dish for all of our guests. Green French Beans stewed with Garlic & Onion in Tomato Sauce and Lamb, served with White Rice. Roast Leg of Lamb marinated for 24hrs in Lebanese spices and roasted almonds served with brown rice and gravy. Courgette and aubergine stuffed with rice and minced lamb marinated in spices cooked in tomato sauce. Baked aubergine with tomato sauce, minced lamb and onion served with pine nuts & white rice. Baked fillet of cod marinated in cumin, coriander, chilli served with brown rice and topped with crispy fried onions and tahini sauce. Slow cooked medallions of lamb served with dumplings, kibbeh and cooked in a yoghurt sauce. Served with white rice with a garlic and coriander sauce. Green Leaves cooked with lamb, onion and coriander served with white rice and chicken. Mixed Grill: Selection of our grilled meats, marinated Chicken breast, Lamb medallions and Lamb and Chicken Kafta. Lebanese dessert made of Lebanese cream, sandwiched between two layers of crispy pastry. Served with sugar syrup and garnished with pistachios and orange blossom.